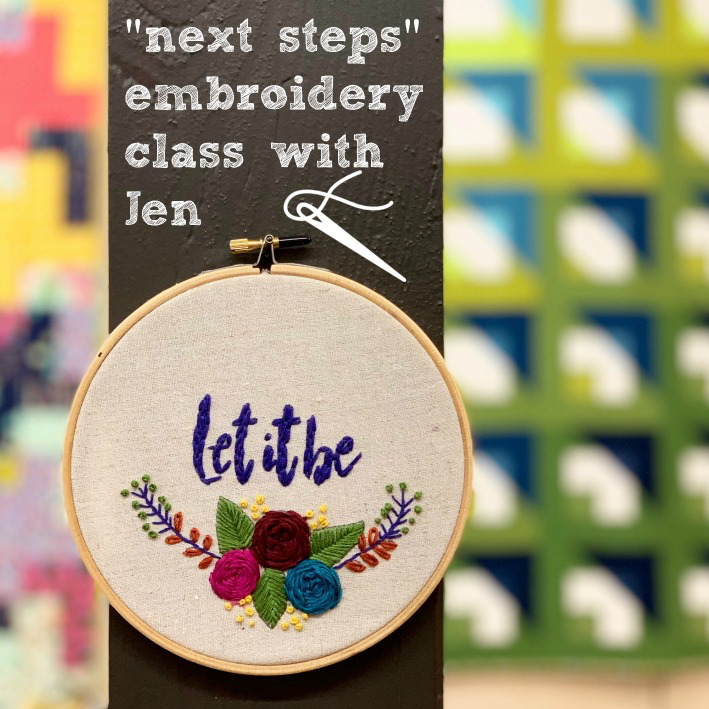 This class is designed to build off of our Beginning Embroidery course. 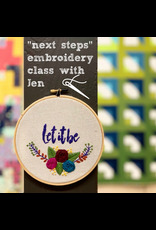 You will learn 4-5 new stitches, and work on a floral design pattern. You will customize your piece with your favorite saying, or the name of someone special. After your project is complete, you will learn how to finish the fabric edges and tuck them behind your project for display. Sign-ups for the workshop are required! Reserve a spot by calling, emailing, or contacting us via the link above -or- if you prefer to register online, you can ADD TO CART and checkout. Be sure to choose store pick-up as your shipping option so that you are not charged for shipping.